For those of you that haven’t heard the news, a judge has ruled that Time Warner are no longer the sole pro­pri­etors of the Super­man fran­chise — with the heirs of co-creator Jerome Siegel hav­ing an enti­tle­ment to the share of the US copy­right. The copy­right cov­ers only a por­tion of the Super­man cre­ation — that being the fun­da­men­tal ele­ments — the cos­tume, Clark Kent, Lois Lane. In short, this means that Time Warner may now be liable, pend­ing a court appeal, to pay out for Super­man Returns. This rul­ing may also lead the Shuster’s to fol­low suit (the other half of the Super­man cre­ation team) and claim another large por­tion of the copy­right. Ulti­mately it all puts the future of The Man of Steel into jeop­ardy, not to men­tion the already trou­bled Jus­tice League film. Speak­ing of DC Comics pics, it is highly unlikely that Bryan Singer will return to shoot the next Super­man movie. (The direc­tor is fin­ish­ing up Tom Cruise’s Nazi film Valkyrie, and prep­ping The Mayor of Cas­tro Street). This is a rumor, and we need to wait for con­fir­ma­tion from stu­dios that this is the case. For now we can hold our breath. I just got off the phone with a very high-ranking mole who is absolutely in a posi­tion to know what’s hap­pen­ing with this film, and he tells me that it is “absolutely false” that Bran­don Routh is out as Super­man for the stand-alone series. The only thing that has been deter­mined is that JUSTICE LEAGUE will not fea­ture the actors from the other films. That’s it. Right now, Routh is still Warner’s choice to return if they make another stand-alone SUPERMAN film, and that’s based on con­ver­sa­tions as recently as a few weeks ago. Don’t believe this one, kids. Routh’s still the Man of Steel. It seems like the whole crazy rumor orig­i­nated through rum­blings in the Jus­tice League movie camp. The arti­cle con­tin­ues, stat­ing that WB are now accept­ing pitches for new writ­ers. There is also some spec­u­la­tion about the nature of the next movie, some say­ing that it will be rev­o­lu­tionised in the same way that the new Hulk fea­ture is being improved, whilst the WB are adamant that it will remain a true sequel to Super­man Returns. This [source] has per­son­ally observed Bryan Singer at work on VALKYRIE and appar­ently [Singer] has been putting pres­sure on one of his cast mem­bers to return to his star-making role as a vil­lain in Singer’s SUPERMAN sequel. That, of course, would be Ter­ence Stamp, the role would be that of Gen­eral Zod. For some back­ground read­ing on the Zod sub­ject I rec­om­mend Wikipedia, which has sum­maries of Zod’s his­tory and role within the Super­man movie universe. 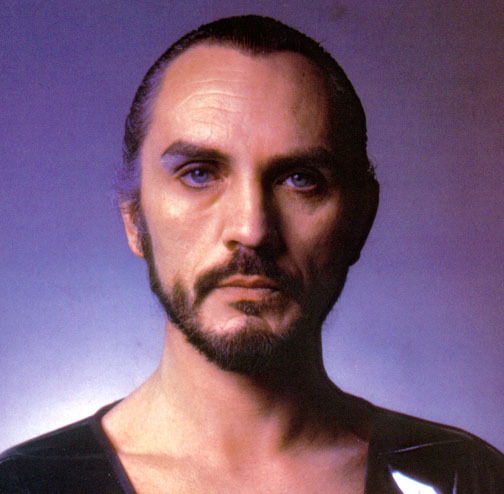 Once Mil­i­tary Direc­tor of the Kryp­ton­ian Space Cen­ter, Zod had known Jor-El, Superman’s father, when he was an aspir­ing sci­en­tist. When the space pro­gram was abol­ished after the destruc­tion of the moon Wegthor (caused by rene­gade sci­en­tist Jax-Ur), he attempted to take over Kryp­ton. Zod cre­ated an army of robotic dupli­cates of him­self, all bear­ing a resem­blance to Bizarro. He was sen­tenced to the Phan­tom Zone for his crimes. A blog net­work deliv­er­ing the lat­est news updates on a range of in-production block­buster movies. And the sec­ond enti­tled “Jus­tice League film gets script”. How would this film­ing sched­ule work in-between TDK and Man of Steel? Would the cor­rect cast be present? These are the ques­tions being asked. The IESB had a chance to talk to Chris­t­ian Bale, he stated cat­e­gor­i­cally that he was not involved in the adap­ta­tion and nor had he been approached. And later Moviehole con­firmed that the WB are look­ing for an all new cast and that the movie was “full steam ahead” with cast­ing start­ing imme­di­ately. They also men­tioned an assigned direc­tor, George Miller (Happy Feet meets Mad Max). All this seemed a lit­tle con­fus­ing until the final and fit­ting piece of the puz­zle unearthed, how this could be pos­si­ble with­out dis­may­ing fans and whilst aim­ing for an early 2008 pro­duc­tion sched­ule. The IESB have a num­ber of some­what reli­able sources stat­ing that the JLA movie shall in fact be a CGI/Motion Cap­ture film (e.g. sim­i­lar to The Polar Express or more recently Beowulf). This still needs some clo­sure but it all makes per­fect sense. These films tra­di­tion­ally take slightly longer to cre­ate so we could see a late 2009, sum­mer 2010 release. I asked him if he was a part of the sequel because every­thing I have seen says Singer and Har­ris are writ­ing the script and that he isn’t men­tioned. He con­firmed that he is writ­ing it with the two just like the last pic­ture. I then expressed to him that I was hop­ing the delays of Super­man: The Man of Steel weren’t true. He said that they were on track and that the goal is still to have the movie out in the Sum­mer of 2009. He seemed a lit­tle hes­i­tant about it but did his best to try and reas­sure that it will get done by then. I asked if he could give any more info on the film. He responded, “There are TWO vil­lains,” and he smiled.